SPINACH & ARTICHOKE FLATBREAD - House-made artichoke dip as the base topped with fresh spinach, and our three-cheese blend. 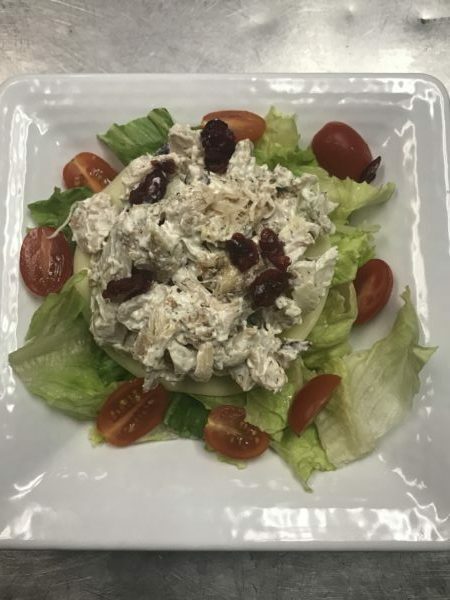 CHICKEN SALAD - Chopped romaine, provolone cheese, house-made chicken salad and grape tomatoes. Served with a warm garlic breadstick. HONEY GARLIC CHICKEN SANDWICH - Chicken breast smothered in honey garlic sauce, Swiss cheese, tomato, red onion and fresh greens served on a telera roll.